This is a Spring Break experiment. I challenged myself to use the same six design papers and the same sentiment on each of ten cards, giving each card an individual look. 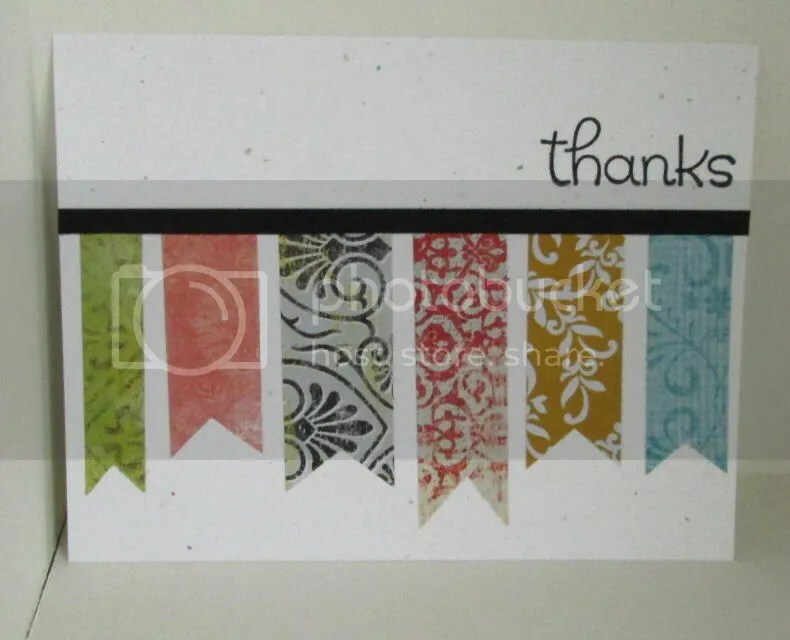 Card 10 was created using short strips of paper with the ends cut into banners. The papers are My Mind’s Eye Best of Damask. The sentiment is from Doodlebug. Memento Tuxedo Black Ink. Wausau Fleck cardstock. Black from stash.